Scalar Armor Initiations. Over 2000 Advanced Energy Workshops for Physical and Spiritual Evolution. 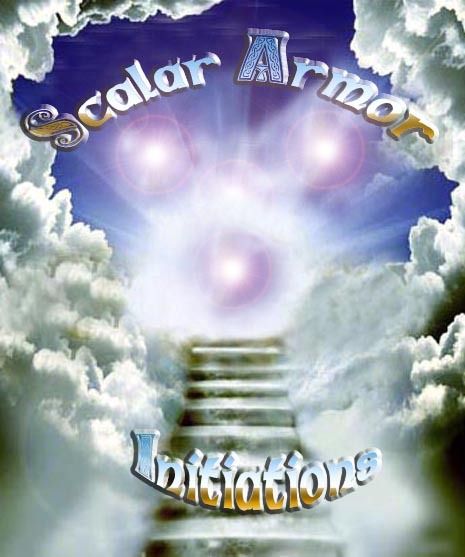 Scalar Armor energies represents a deep energetic & special level of universal energy! Scalar energy will increase your cellular energy and overall body energy levels. Scalar Armor energy nullifies the harmful effects of man made frequencies and helps to balance and strengthen the body's bio-energy. Albert Einstein acknowledged scalar energy and found that scalar energy enhances all living cells. Scalar Armor energies can be used for health, enlightenment and ultimate protection! Scalar energy is more like a large energy field of vibration than a small wave of energy. Instead of running along small energy channels or shooting out in beams, it tends to "fill" its environment. This becomes very important when you receive a SCALAR ARMOR Energy Initiation, as it will saturate where it is directed as a large field of scalar energy! You will receive the Scalar Armor Initiations-Practitioner manual via Email, All Empowerments and a emailed certificate. Plus full email support is given before, during and after all my Workshops.